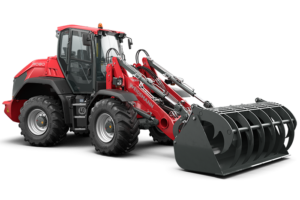 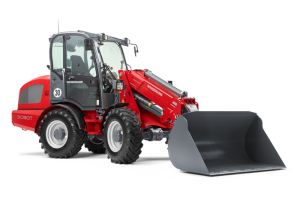 WEIDEMANN is a division of WACKER NEUSON GROUP and has for decades produced Hoftracs, Telescopic Wheel Loaders, Compact Telehandlers and attachments for the agriculture industry. 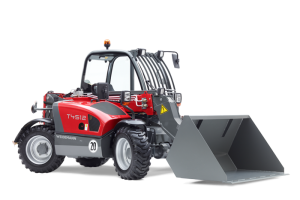 These German engineered machines are designed to optimize farm yard and barn operations. 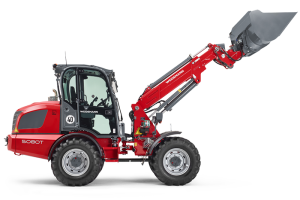 Compact design, low centre of gravity, tight turning radius, extended reach and powerful performance — these features have characterised the WEIDEMANN product series for years. 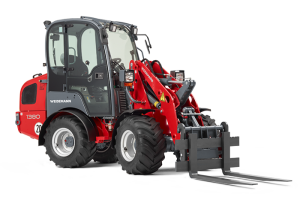 A WEIDEMANN is simply always ready for work! 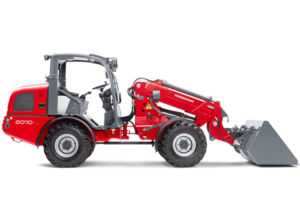 Our certified technicians at SONTRAC EQUIPMENT support and service the complete line of WACKER NEUSON GROUP products including WEIDEMANN. 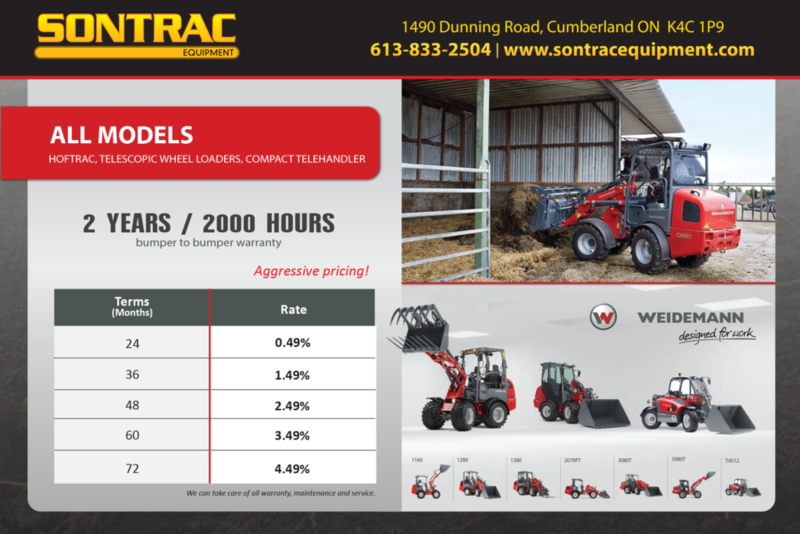 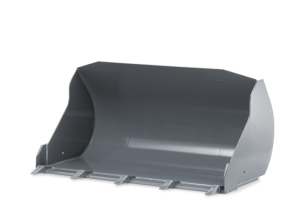 All parts are readily available in Canada and are interchangeable with WACKER NEUSON equipment. 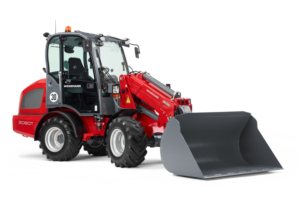 Our new WEIDEMANN equipment includes warranties that meet and exceed industry standards and flexible and competitive financing is available. 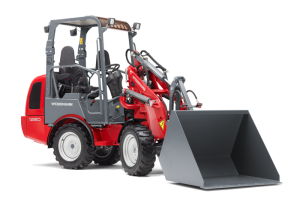 WEIDEMANN is a market leader respected for quality, performance and hands-on customer support.